Don't forget our GIVEAWAY! It's almost over!!! You could win 3 TpT products!!! It is only 3 clicks away!! We are linking up again with Jessica Stanford on "How do you plan?". 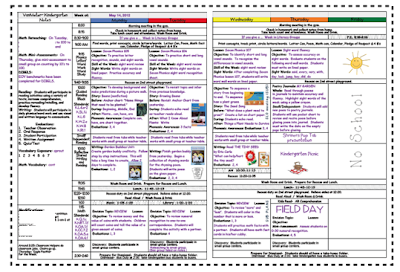 Stephany showcased her fabulous (and I mean it when I say... F-A-B-U-L-O-U-S) lesson plans. I am now going to show you my lesson plan format. This is a plan from the last week of school last spring, but I think you see how I lay it out. Stephany created her plan in Pages. I designed mine in Numbers. There are many programs that you can use. The key is finding one that best fits you. 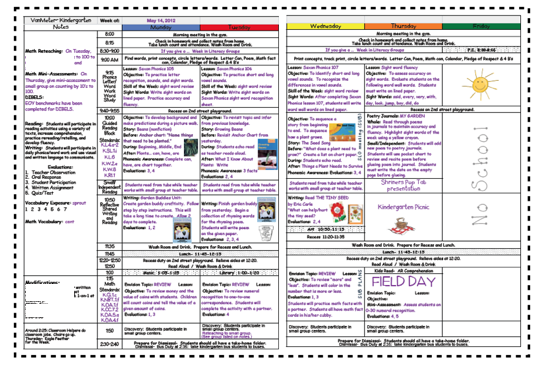 I use pictures (from TpT units) that I have purchased and books that I will be using for the week. I simply insert them into my plans. I "whited out" names of students that I meet with, but on the side I list Modifications, Speech, DIBELS intense progress monitoring, and who I need to re-assess in math. 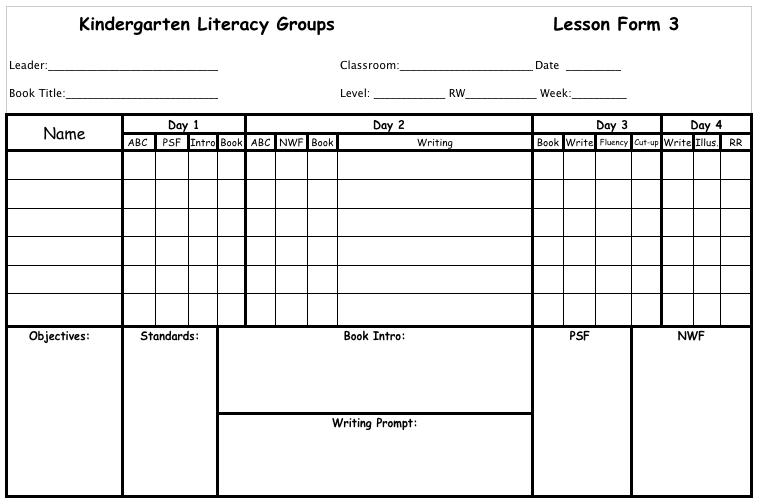 I also have a Kindergarten Literacy Group Plan sample. 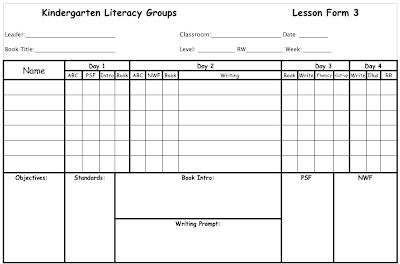 I use this form to plan my literacy groups for kindergarten. It was created by Kathi Berry. She is excellent at planning instruction for RTI and small groups. She also allows us to plan with our literacy team twice a month on a Friday. We meet for 30 minutes to discuss progress and change groups. We switch teachers and collaborate together. Groups are usually Monday through Thursday. 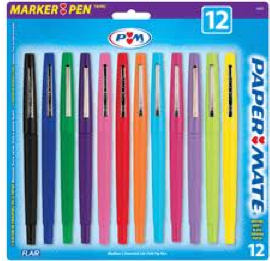 I usually choose four colors of pens to write. 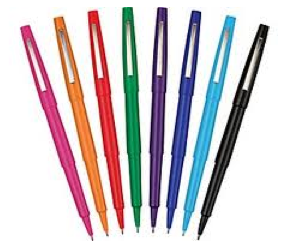 My favorite are Flair Pens!! If you don't have any, THEY ARE A MUST!! I have them in so many colors. You can find them at Target, Wal-Mart, Staples, or any of your favorite office supply store. I love your lesson plan! Would there be any way I could see a bigger version of it? I also think you lesson plan is great! Do you print it out over 2 pages each week??? And, do you just pop it in a folder??? Yes... 2 pages for 1 week. I put it in a binder. I would also love to see a bigger version, as I can't read it when it is enlarged, it is too blurry.